So I saw these vitamins on sale a couple of weeks ago. I told myself I'd go back to get them in later on in the week and to my surprise, they were all sold out at my local grocery store. I decided to go online to do a little research and I discovered these vitamins are very popular. I went to my local Walgreens and found them, the LAST TWO BOTTLES!!!! I was happy to finally get my hands on them. While doing my research on the net, I also discovered there is a challenge posted by Nature's Bounty which you can read more about by clicking here. I noticed my bottle did not have nutrition facts on it which is were so I've added that below. 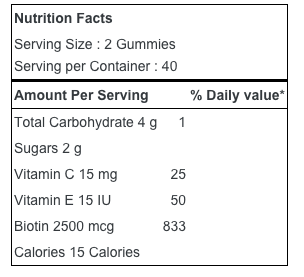 You can either take 2 gummies once a day or 2 gummies twice a day. I'm taking at least 2 gummies plus I have a bottle of the pill form I'm trying to get rid of so I usually take at least 2 of those per day. They taste so good that it's hard to resist from snacking on them. The texture is like that of Dots candy and the flavor is strawberry. Very good. 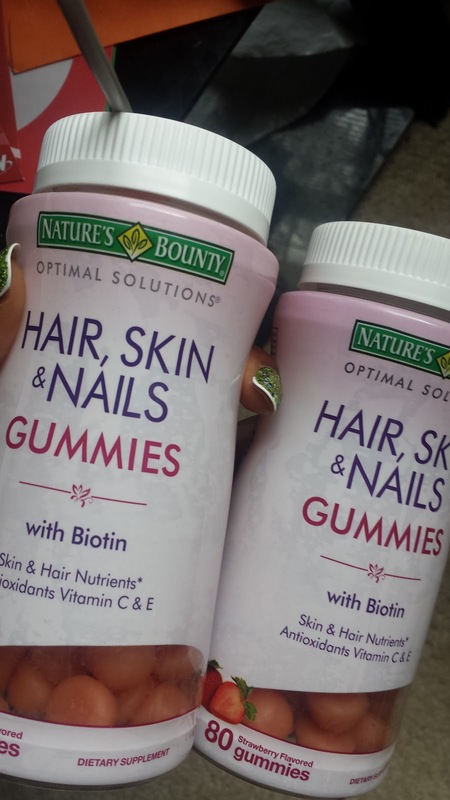 As you can see these have 2500 mcg of Biotin or 833% of the daily value. Because of that I have experienced a few breakouts on the day that I wasn't diligent about drinking lots of water. I think so far I got about 3 pimples total from this. I'm doing the best on my water intake to keep this to a minimum. Will you look at that?! About 1 mm of growth on my nails except for the thumb which is about 2mm. My thumb nails always grow faster than the rest. 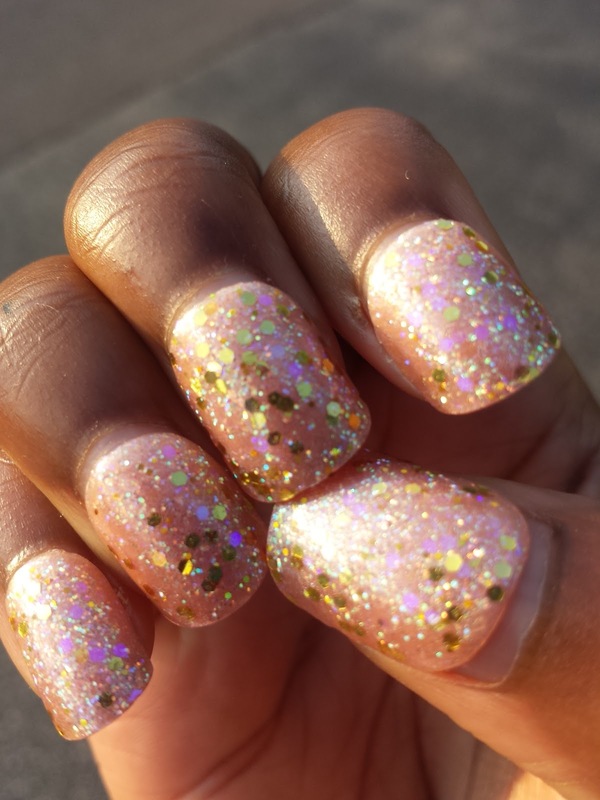 I think that's awesome for one week considering the average nail growth is 3mm per month. For the hair, I haven't been tracking that but plan to start this week. It's in a protective style but I should still be able to get measurements.